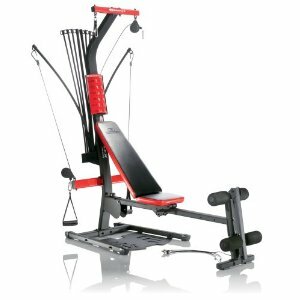 Bowflex PR1000 Home Gym: $418.50 w/ Free Shipping, Regularly $799.00! Very Highly Rated + Great Man Gift! Ok, this product costs way more than what I usually post, but it's apparently a great product at a great price. Who knows...maybe someone has been looking for something like this for their guy! You can get a Bowflex PR100 Home Gym for only $418.50 with free shipping at Amazon right now. This has a list price of $799.00! I checked out Bowflex's site, and that is indeed, the correct list price. Here's some other price checks: $449 at Walmart, $678 at Buy.com, and $449.99 at Dicks, just to name a few. This home gym has awesome reviews, as you can see above. Not a single 1-star rating?! You don't see that too often on Amazon! It was the same on the other sites I checked out, all great reviews.